Infegy recently released the top 50 most popular brands online. 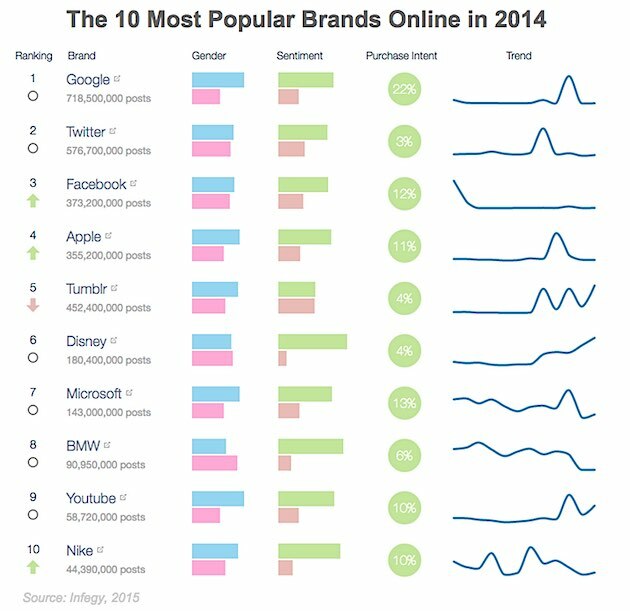 This graph, courtesy of Ayaz Nanji, for his article for MarketingProfs presents the 10 brands that led the list. Read more about the top 50 most popular brands here.